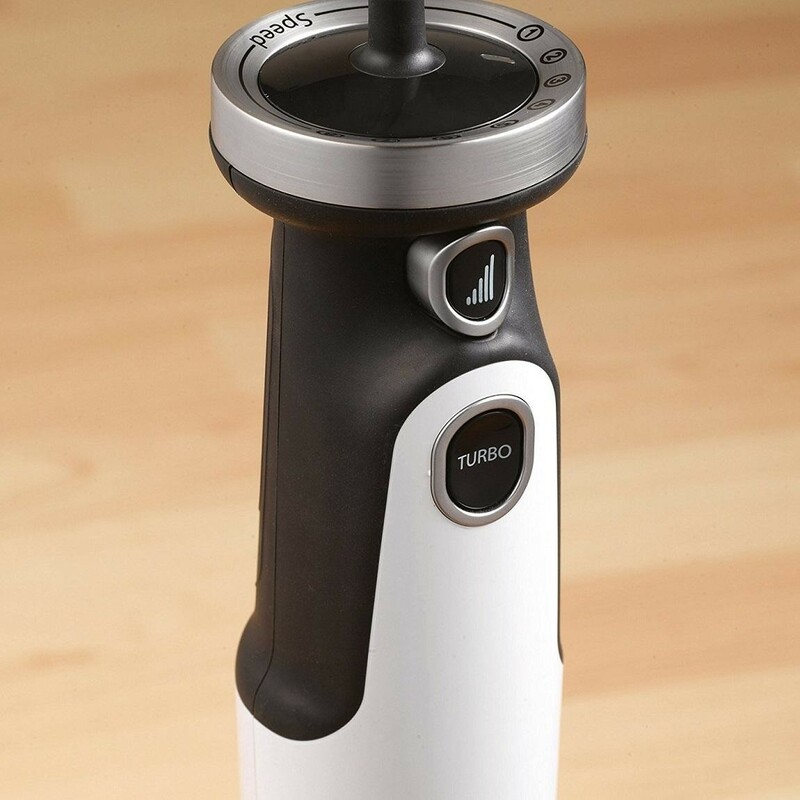 The Morphy Richards 402053 Total Control Hand Blender Preparation Set is the perfect kitchen appliance for people who love to get creative at meal times, whether its making a tasty soup or a healthy smoothie, this blender can help. 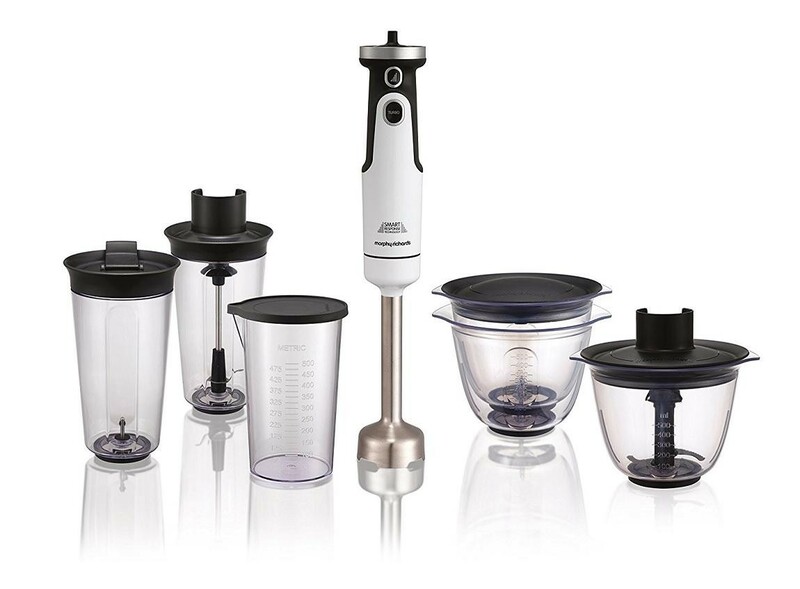 The powerful 650W motor ensures that the blender doesn't struggle with your ingredients, the smart response technology allows you to have total control of the blending process with the simple squeeze of a button. The smart response technology gently feeds power into the blender as you need it, so there are no sudden jerks or splatters, giving you complete confidence in the kitchen. 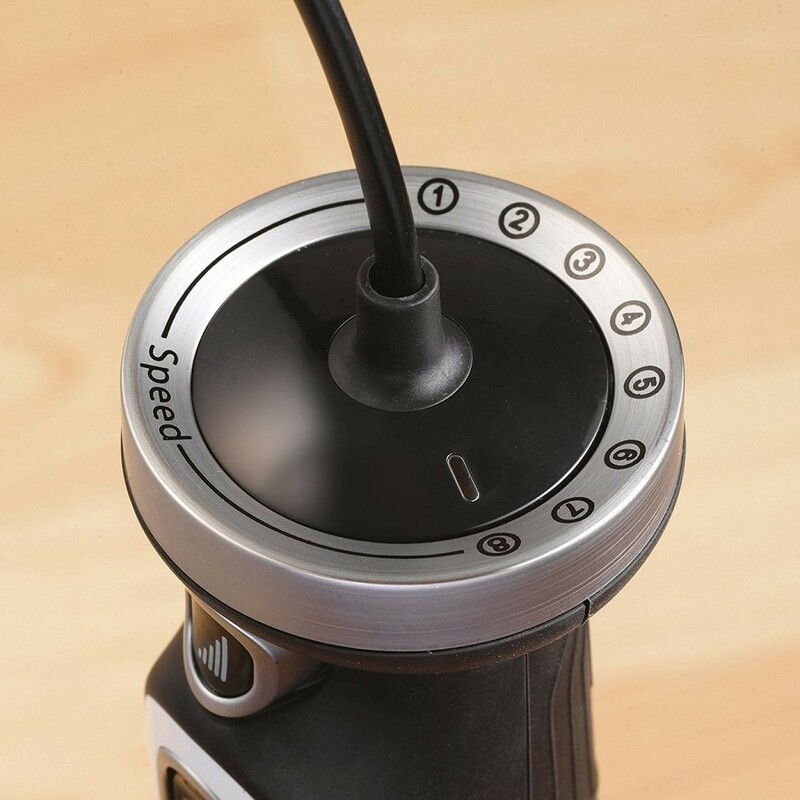 The 8 varying speeds allow you to choose the best one to suit the job at hand and the anti-suction blending head ensuring there's no splashing.